Clapotis (French for ”lapping”) is a series of works studying the movement of waves. 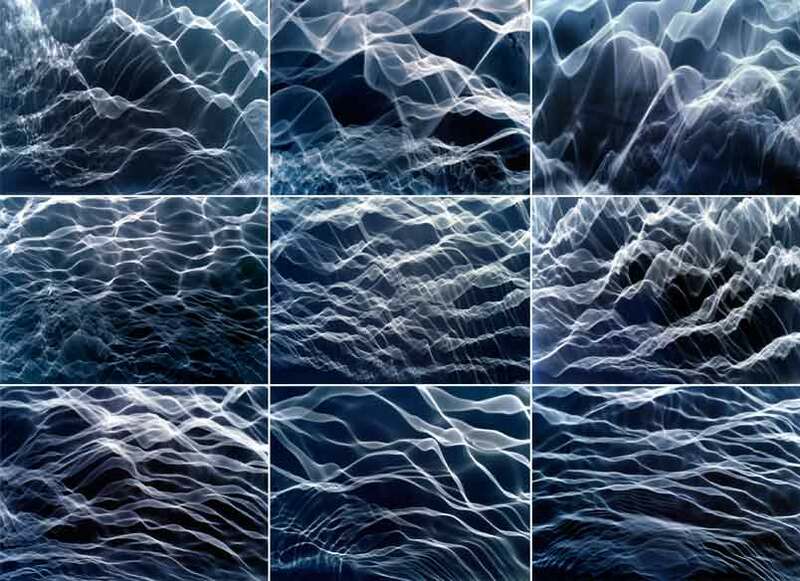 For the purpose, I built instruments that create images of waves both under and above the surface. Wave screen makes surface wave patterns visible. The results are photographs and a video of the screen. 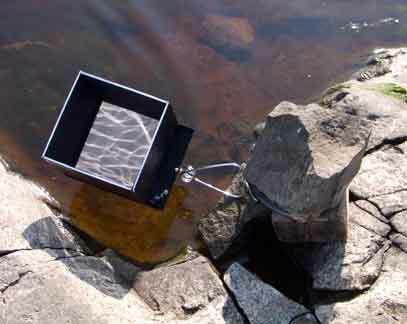 Wave tracer records the pulse of the sea in form of a graph on paper. Storm in a Teacup transfers underwater changes of pressure to oscillating water levels in a U-shaped tube. 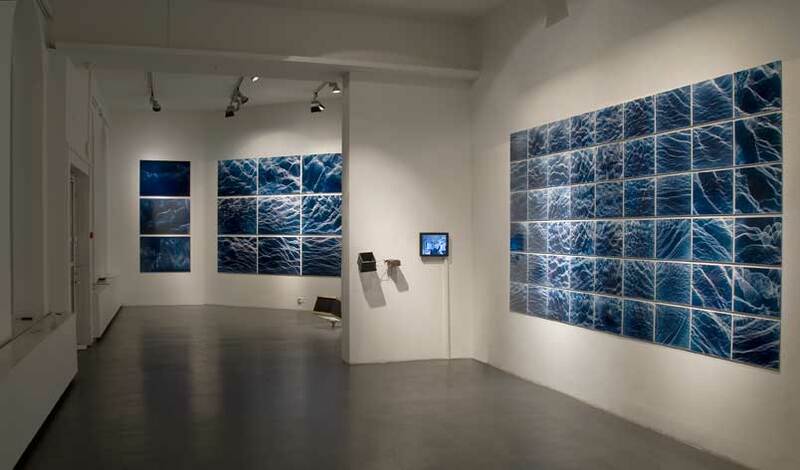 In Wavescapes the oscillation of the sea surface is recorded as a photogram directly on photographic paper. Wavescreen Stills - 9 c-prints 105 x 75 cm each. Wavescreen Stills . 3 c-prints 105 x 75 cm each.